To select the six candidates, the committee established criteria regarding the qualities, experience and motivations PS4RS deemed necessary for an effective alumni trustee, and then formulated a detailed questionnaire to extract that information from the candidates. 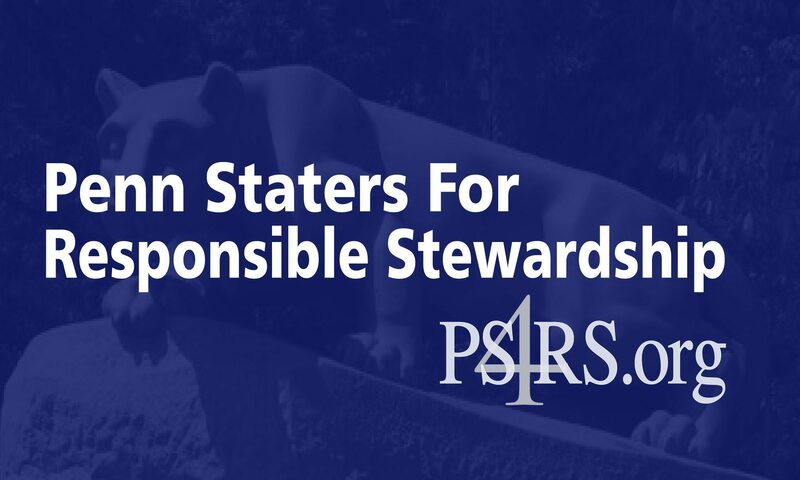 Participants in the PS4RS process were asked to indicate the highest priority issues for the Board of Trustees and the University over the next three to six years; amount of time available to dedicate as a board member, level of communication skills necessary to interact with students and other stakeholders; experience with boardroom organizational dynamics; previous Penn State involvement; and detailed professional and volunteer experience. Marrone added that prior engagement with Penn State is also imperative, with interest in the educational mission of Penn State and involvement outside of sporting events essential. The PS4RS membership will vote in an online primary election to be held March 18 through March 23 to determine the three candidates who will receive the PS4RS endorsement. The three candidates receiving the most votes will receive the PS4RS endorsement, to be announced Monday, March 25. The PS4RS Election Committee, chaired by Christian Marrone, includes: Elizabeth Morgan, representing PS4RS Leadership; Franco Harris and Trey Bauer, representing Lettermen; Professor Kenneth Miller and Assistant Professor John O’Donnell, representing Academic Leaders; Jared Newman and Diane Yingling, representing PS4RS Members At-Large; and Jonathan Brandonisio, representing students.